Pre-requisite: Family lv30+, Completed Doubt - Laboratory Search quest (see Kielce Scenario). Items needed within the quest: For the stance you need 500 Pure Aidanium, 500 Bulk Coal and 500 Ice Crystal. Special note: You need Raven and Bernelli (recommended to be master, or at least expert) created to proceed in his quest. Talk to Caisse in Government General at Kielce (F2). Trigger a combat mission at Kielce (J4) for 30 minutes. Defeat Blood Navy Officer - Assault (Human AR/DR 61) and her Blood Navy soldiers (Human AR/DR 58). Trigger a non-combat mission at Kielce (L3). Another non-combat mission will start immediately after the first. Trigger a combat mission at Kielce (F2/F3) for 30 minutes. Raven and Grace must be alone in the team (MCC2) from now on until the end of the recruitment quests. J.D. (Human, AR/DR 72, ATK 1260) will attack you. You do not have to defeat him. After 1 minute or so, Raven will ask you to retreat to Red Hat Pub (D8). In fact, you can start running towards D8 before Raven even asks. Move to D8 to trigger a non-combat mission. Talk to Major William in Kielce (F2). Talk to various "nameless" stationary guards in Kielce. Ask 5 aides the final question of whether Caisse and/or Olivia have been acting independently. You have the option to ask the final question or end the dialogue. There are 3 types of guards - aides, general soldiers, and traitors. If you ask the final question to a traitor, you will lose 5,000,000 Vis as hush money. If you do not have the money, you cannot talk to any more guards until the next day. The stationary guards are 3 Government General Guards (E3/F3), 2 Governor Office Guards (G2/H2), 2 Kielce Residence Security Guards (G7), 2 Security Guards (J10), 2 Museum Guards (J6), 2 Perimeter Guards (L3), 2 Internal Affairs Guards (E7), 1 Bascule Bridge Guard (E8), and 4 Port Guards (C9/D9). Check the initial response of the guard. If he says "What is the matter? ", then he is a general soldier and can be ignored. If he says "What is going on? Ah... You? ", then he is either an aide or a traitor. Next, check the guard's response to the 3rd question ("current situation in Bristia"). If he says "We must become independent as a sovereign state. ", then he is an aide so you should ask him the final question. If he favors Vespanola's rule, thinks pioneers/thieves are the problem, or wants to defeat the Resistance, then he is a traitor. If he says anything else (e.g. "I cannot answer that. "), simply end the dialogue and talk to him again until he says one of the above responses. Trigger a non-combat mission at Shelter of the Resistance (F3). You can get there via Kielce (L3). Trigger a combat mission at Kielce Night (L3) for 30 minutes. This is similar to Heiran's Infiltration - Day 3 quest, except J.D. is among the patrolling guards as well. If he notices you, you cannot redo the mission until the next day. Go pass the sentries at the gates directly in front of the start point. Wait for them to fall asleep (saying "..Zzzz....") before going pass them. Go across the parade square without entering the detection zones (denoted by a glowing circle around the NPC) of the patrolling Blood Navy Guards. There will be another pair of sleepy sentries to sneak pass before you are safe out of the parade square. Go towards F9/G9. The Blood Navy - Shield sentry will wake up and start running towards F4. Kill the Blood Navy - Shield (HP 110, DR 57, DEF 9999) before he reaches F4. Go further into F4 to trigger a dialogue with Cano. Tip: Movement Speed and ATK Speed are the most important things here, so make use of Assassin Boots, Mystic Potions, Tiger Pets, Hermes Potions, and Red Lollipops. Tip: While in the parade square, stack the characters on top of each other to minimize the occupied space. If you are unable to avoid J.D, run into the guards so you can redo on the same day. Tip: Click on Electric Shock Device to debuff the Blood Navy - Shield with [Shock] when he enters the area effect of a Shock Device. The clicking character will be disabled for 10 seconds. Tip: According to Jap GE Wiki, if you are locked out for the day by J.D, you can unlock it by paying 5 White Gold Bars to an NPC in Kielce (I3). 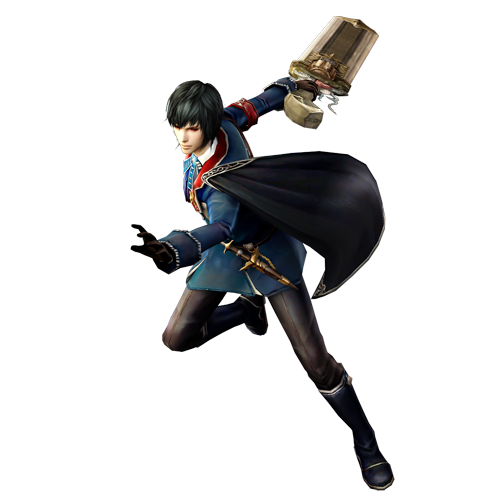 This is not available in the current version of Granado Espada Online. It may be added later on. Move to F4 at the Kielce Laboratory Area. Give 500 Pure Aidanium. Wait for the next day (server-reset, 00:00 server-time) and give 500 Ice Crystal. Wait for the next day and give 500 Bulk Coal. You will get the item "BR 254 Zeppelin". With J.D. as leader, use it to learn the stance Royal Guard.